I recently purchased David Tanis’s book, A Platter of Figs. In the introduction, he talks about the idea of understanding the seasons, really understanding them, so that you always get the best out of whatever garden-grown thing you’re bringing into the kitchen. 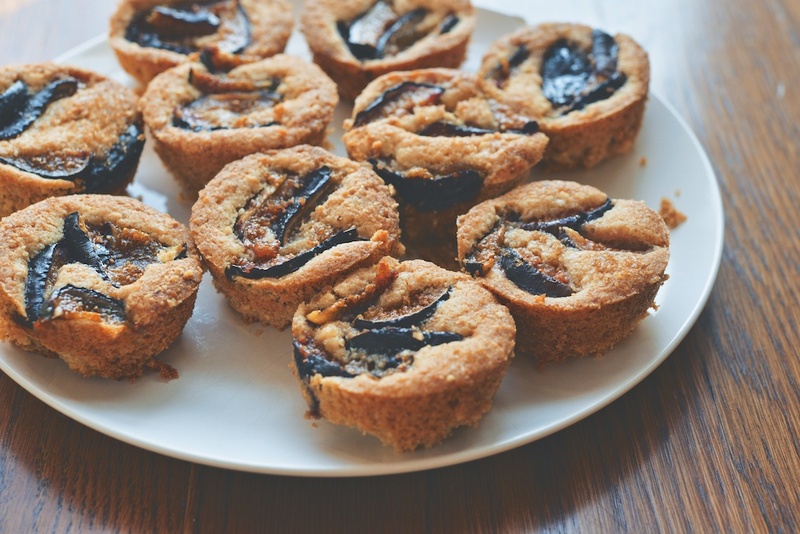 “Do you really need a recipe for a platter of figs?” he asks. “No. Is that the point? Yes. Does it have to be more complicated than that? Not really. 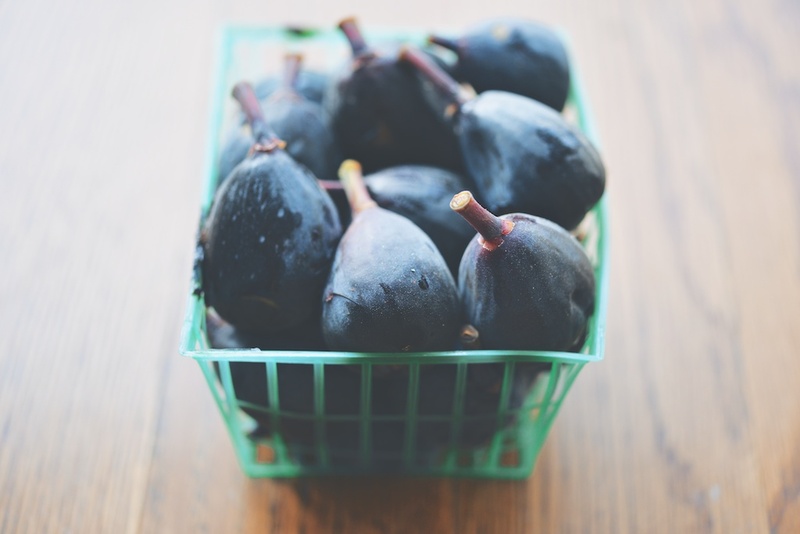 Yet to serve the figs you need to know about ripeness and seasonality — the seasons of the garden — and you need to know your figs. By this I mean, are they sun-ripened and bursting with jammy sweetness? Are they succulent enough to eat as is, or do they want a sprinkling of salt, a drizzle of good olive oil, perhaps a thin slice of prosciutto? A dab of fresh ricotta and honey to heighten the flavor? 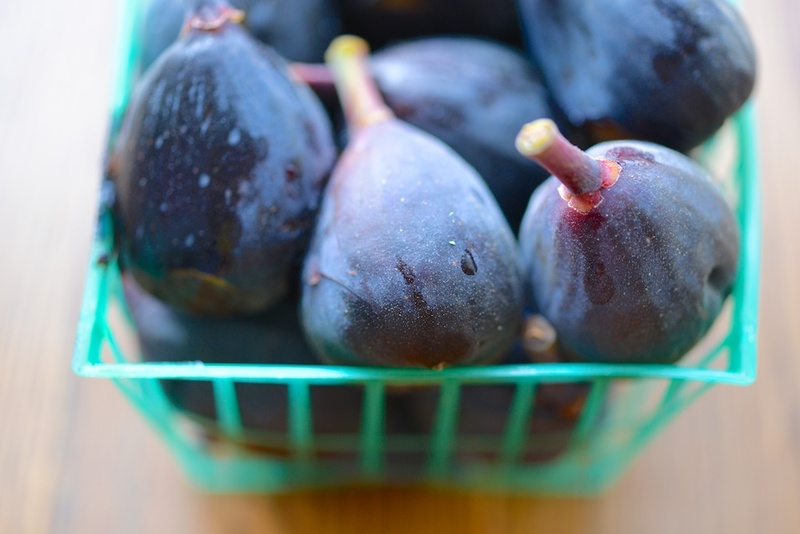 Or should you roast the figs with onions and thyme and serve them warm with rare-grilled duck breasts? His book reminds me of why I wait until July to start buying doughnut peaches in earnest–even within a growing season, the taste and quality of produce is not linear. Incidentally, his book also makes me want to shop at Italian marketplaces, and put on fabulous dinner parties wherein I casually serve my guests octopus spiked with pickled onions and pimentón, or roast rabbit with mustard sauce, you know, as one does. And every time I gaze upon the cover of the book, I want figs, in all the configurations Mr. Tanis describes. So I bought some. Here are the results. 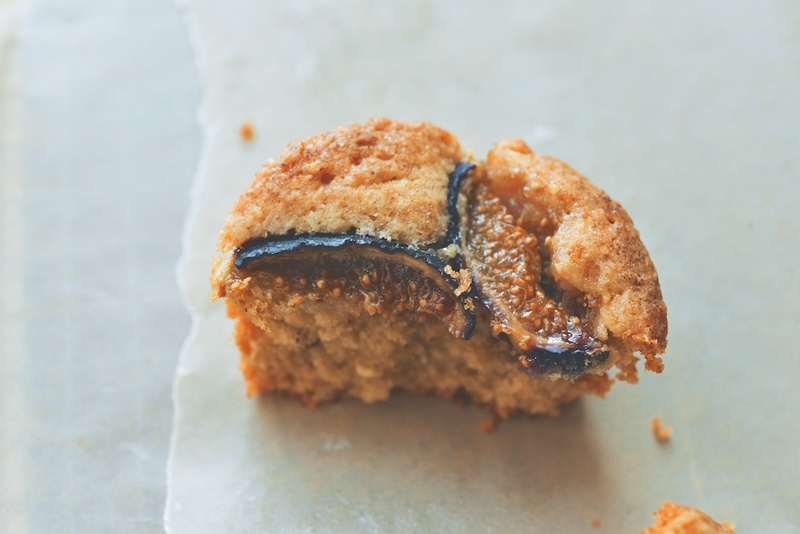 The figs I bought needed a little sugar and heat to be coaxed to a higher plane. I simmered leftover fig slices with sugar and lemon, until they collapsed into fabulous jam I slathered on buttery toast all week long. 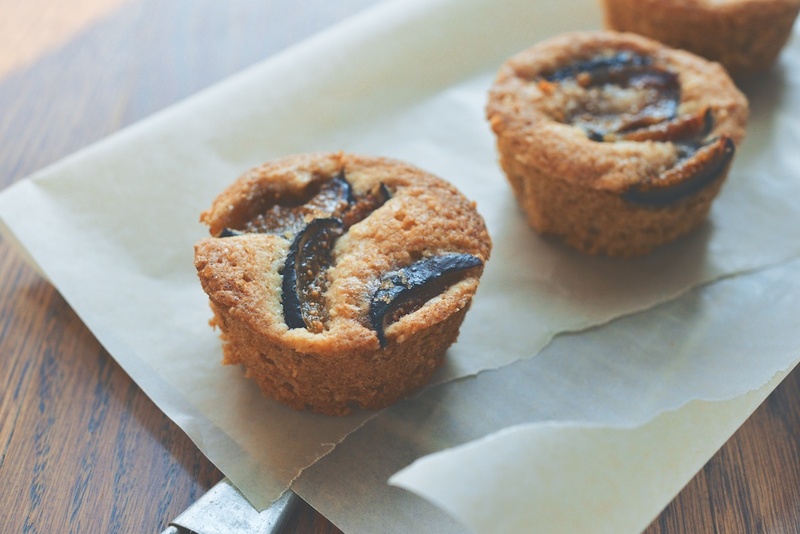 Hazelnut muffins inspired by Nigel Slater’s Cake of Roasted Hazelnuts, Muscovado, and Coffee. Makes about 15 muffins. 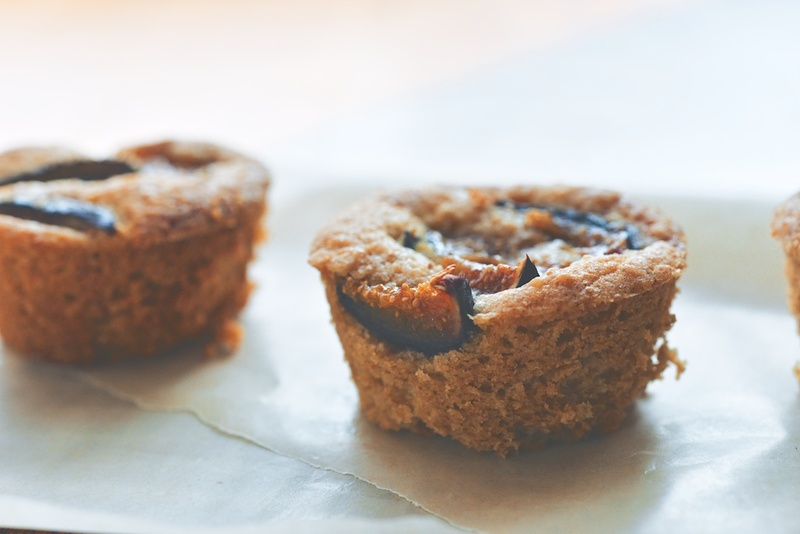 Wrap any leftover muffins in plastic; you can keep them on the countertop for up to 3 days. In fact, I thought the muffins were more moist and settled into themselves the morning after. Heat the oven to 350F. Grease the muffin tin well. Pour the hazelnuts onto a baking sheet. When the oven is warm, move the baking sheet into the oven for 10 minutes. 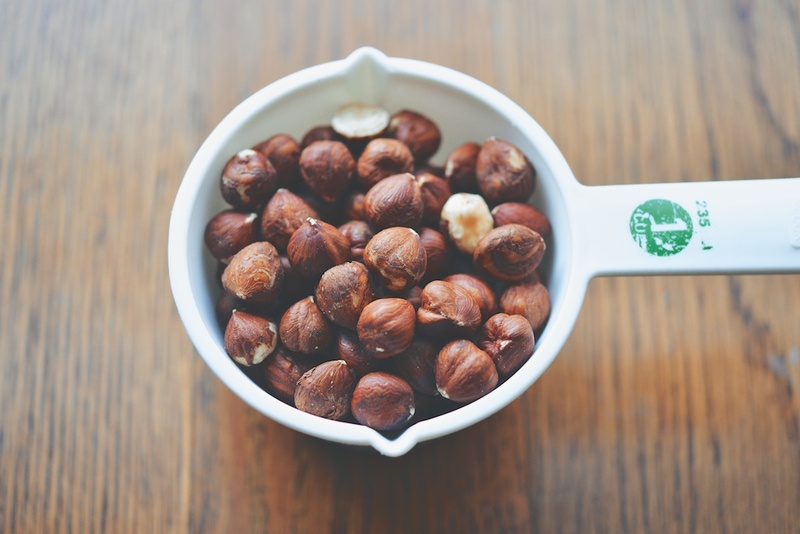 Remove the hazelnuts from the oven, and let them cool until you can easily handle them without burning your fingers. Remove the skins from the hazelnuts; don’t go crazy, if some part of the skins are left on, it’s not the end of the world. 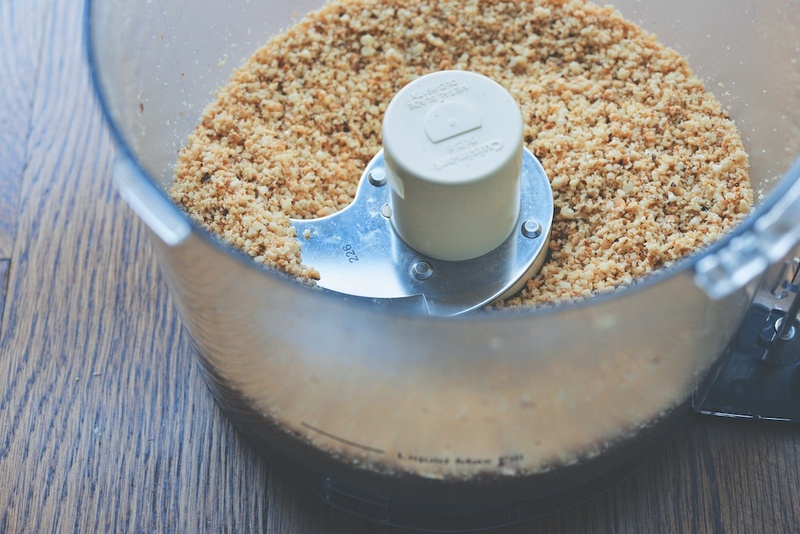 Blitz the hazelnuts in a food processor until they are reduced to dust. Measure out 1 cup of hazelnut dust; set the remaining 1-2 tablespoons aside. Using an electric mixer, cream the butter with the golden sugar and the muscovado sugar in a large mixing bowl for about 5 minutes, until both sugars are truly blended into the butter, and the combination is light and fluffy. Beat in the eggs one at a time, until they are incorporated into the batter. Mix in the hazelnut dust. In a small bowl, sift together the flour, the baking powder, and the salt. Add the dry ingredients to the wet, and mix on low speed, just until the batter comes together and is smooth. Spoon the batter into the muffin tins, filling each cup about 2/3 of the way to the top. 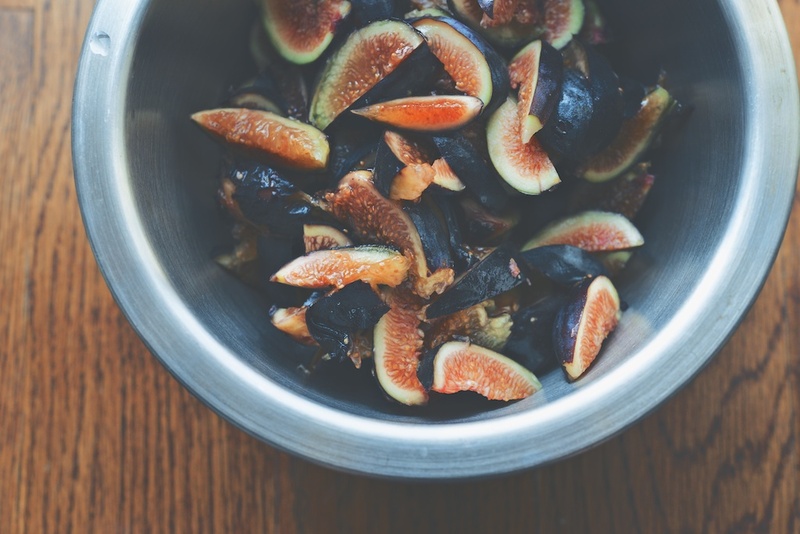 Slice each fig into thin slices, 6-8 slices per fig. 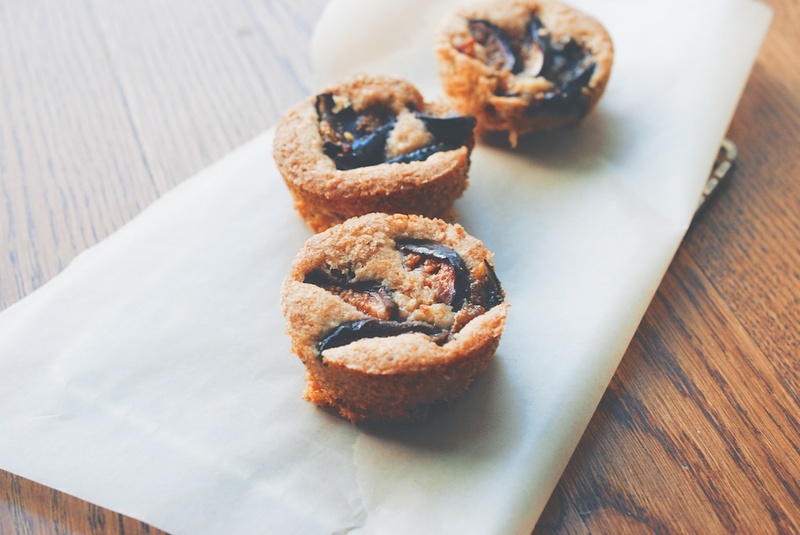 Divide the fig slices evenly between the muffins, 4-6 slices per muffin. 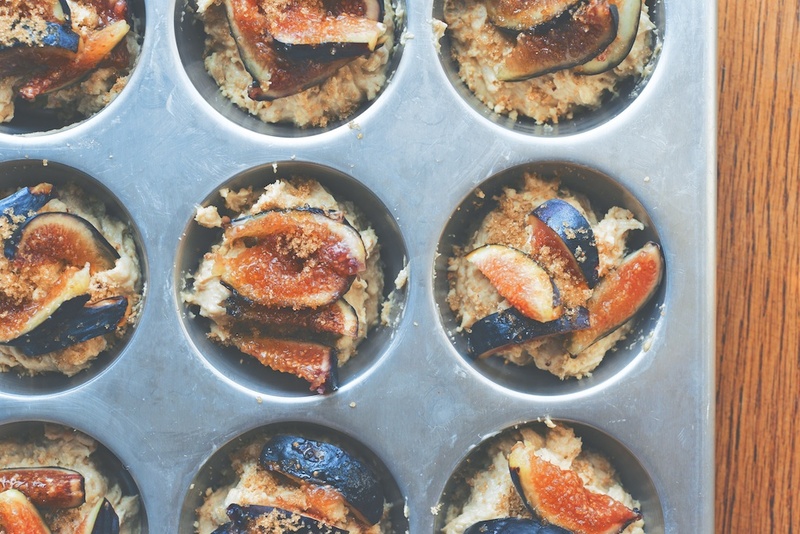 Sprinkle the demerara sugar on top of the figs, again, evenly dividing between each muffin. 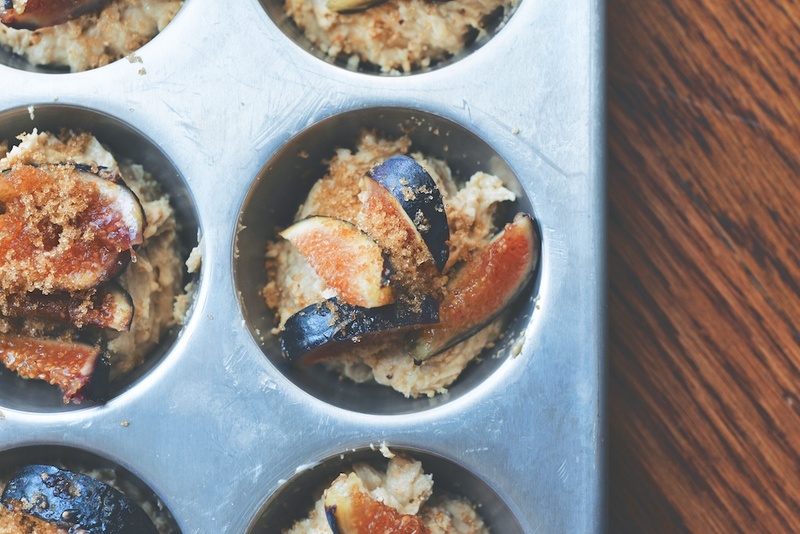 Finish the muffins with any leftover hazelnut dust. Bake the muffins for 30 minutes, or until they are golden on top. 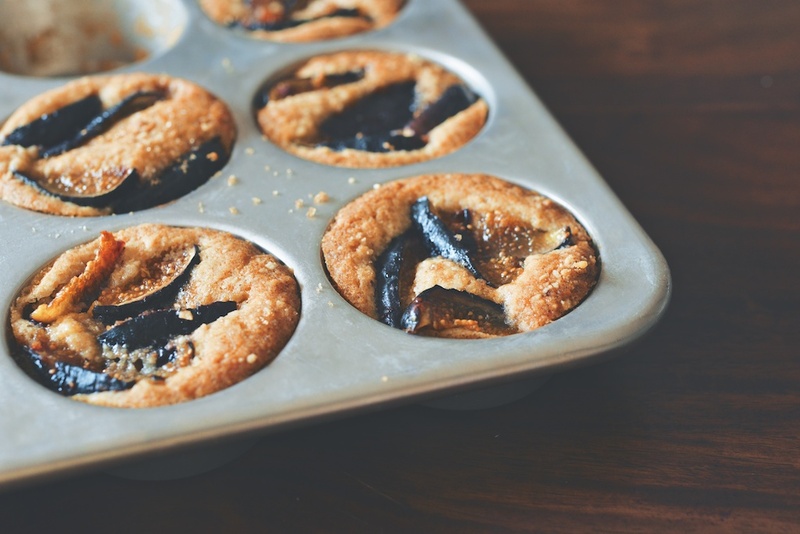 Allow the muffins to cool for 10-15 minutes before removing them from the tin. When I was in eight grade and lived in Glendale, California, my best friend, down the street, had a fig tree in her yard. Her mother had to protect the figs from the birds by covering them with aluminum foil, so that they would have a chance to ripen. 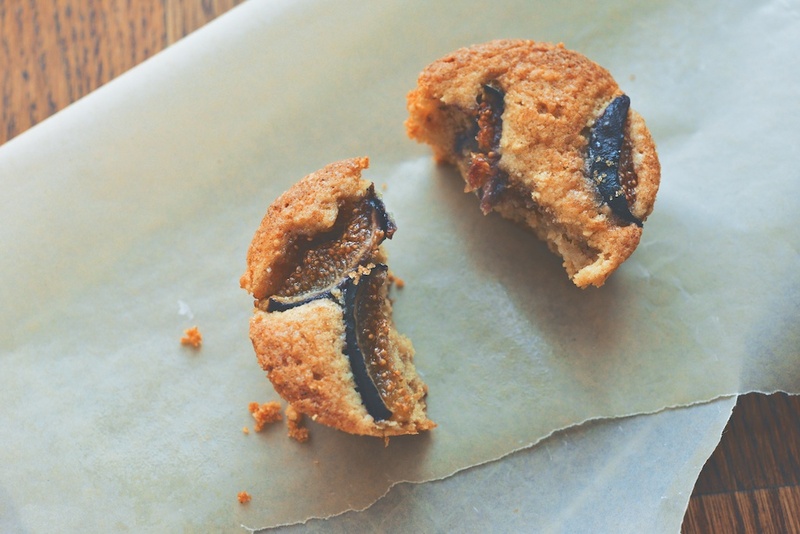 The effort paid off, and we were rewarded with juicy, luscious figs. Fig season passed me by this year and I somehow completely missed it! A fact that I’m quite annoyed about. The muffins look gorgeous! 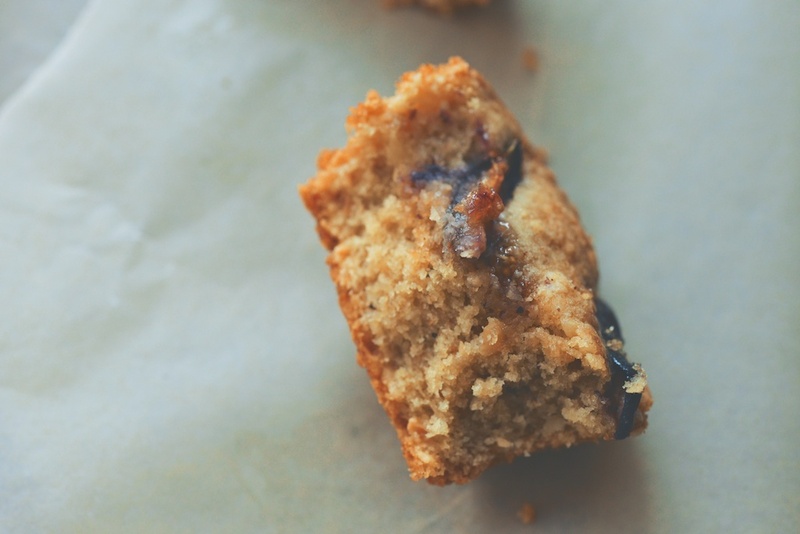 I made these late in the summer, and they were absolutely amazing…so much so that they’ve been requested again. Is there a winter fruit that you would suggest using in place of figs? I’m so glad you liked them! I think these would be very tasty with pears or apples. I might soften and spice them in any combination of apple cider/butter/nutmeg/cinnamon/warming spices/rum, first.